Log in to view today&apos;s specials. Choose a package or let us customize your experience. An upscale, affordable public golf course. Bittersweet Golf Club is an 18-hole championship course located in Gurnee, IL, well known as home to both shopping and entertainment destinations. A scenic course, Bittersweet is rich in natural beauty. The landscape features mature hardwood trees, vibrant wetlands, a 100-year-old sage meadow, native prairies, wildflowers and an abundance of natural wildlife. This public course is very much on par with the conditions and feel of a private country club. Bittersweet is an apt name for a breathtaking course that poses a serious test of shot-making savvy for avid, experienced golfers wishing to test their skills...who define FUN as the utmost challenge. At Bittersweet, however, FUN is available to all golfers. 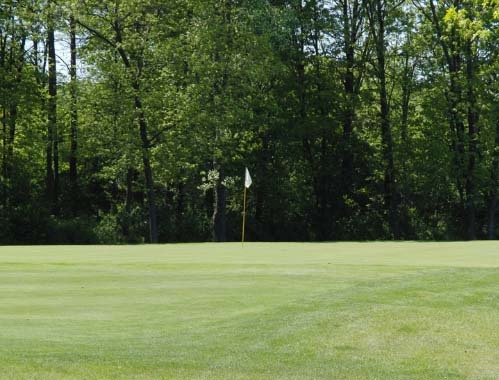 The choice is truly yours, as multiple tee placements allow recreational golfers, even newcomers to the game, to find an appropriate and friendly level of challenge. And impeccable bentgrass playing surfaces are a great equalizer for the abundant water, sand and wetlands. Our driving range and new practice area is the perfect place to hone your swing or take lessons from a knowledgeable Golf Professional's. Bittersweet's 19th hole, featuring indoor grill room or outdoor patio seating, is among the finest in the north suburbs. A fabulous track, all the amenities and our terrific location just minutes from the Tri-State Tollway make Bittersweet a natural venue for your corporate or charitable outing, or other special event. TGIF: will end March 1st due to the Beginning of the Lenten Season.